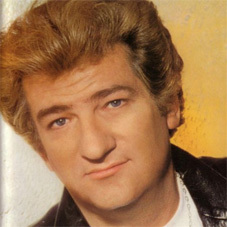 Claude Moine (born 3 July 1942), better known by his stage name Eddy Mitchell, is a French singer and actor. He began his career in the late 1950s, with the group Les Chaussettes Noires (The Black Socks), taking his name from the American expatriate tough-guy actor Eddie Constantine and Mitchell simply because it sounds American. The band performed at the Parisian nightclub Golf-Drouot before signing to Barclay Records and finding almost instant success; in 1961 it sold two million records. Heavily influenced by American rock and roll, Mitchell (who went solo in 1963) has often recorded outside France, at first in London, but later in Memphis and Nashville, Tennessee.